Hello! 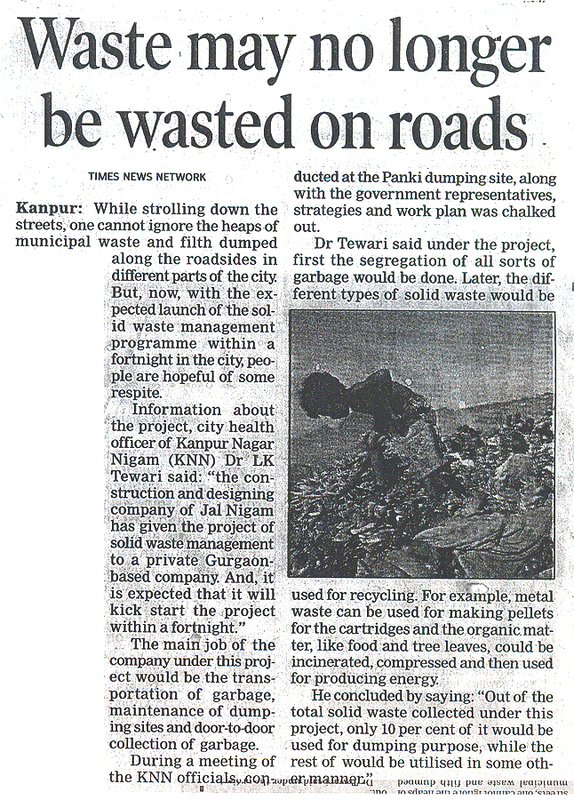 Good Morning, have any waste? Call bell rings on Saturday morning. As the door is opened, a boy wearing green shirt with yellow colour border, black pant and mud colored shoes is noticed standing outside. Seeing the Landlady of the house the young boy politely says, “Hello! 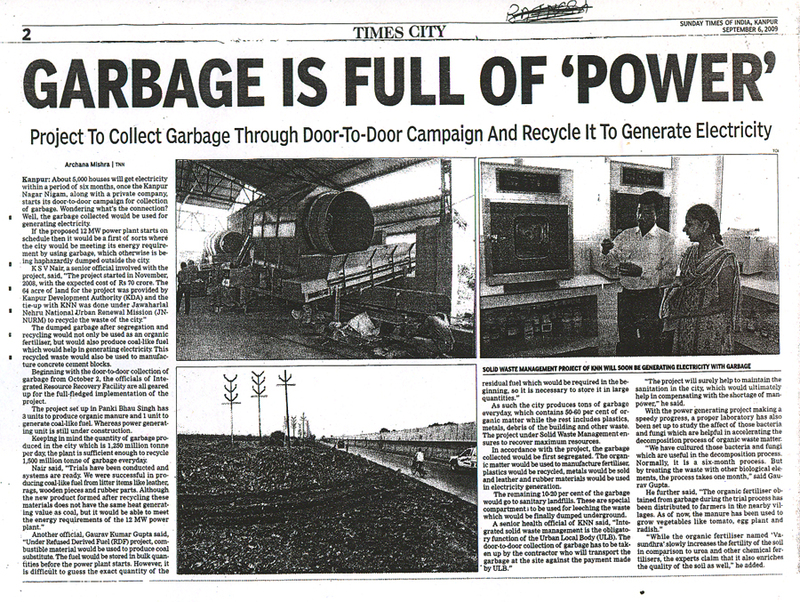 Good morning, waste please”. For a moment it is not believed. The mistress is surprised for a few seconds. Today morning the people of the capital heard and saw which they had not even imagined. The people handed over the garbage of their houses to the young boy. People were in for surprise when the boy said “Thank You” after collecting garbage from their hands. Their eyes continued to remain glued to the young man who was carrying the garbage. The resident of Arrah garden road Mrs. Sinha, ran to her bedroom and gave this information to her husband Mr. Ashok Sinha who was sipping tea there. Mr. Sinha came out of the house without worrying about the cold and quickly ran towards the young man who was carrying garbage. After reaching the young man he enquired “Who are you guys?” After greeting him the young man introduced himself, “I work for A2Z Infrastructure Pvt Ltd Company. 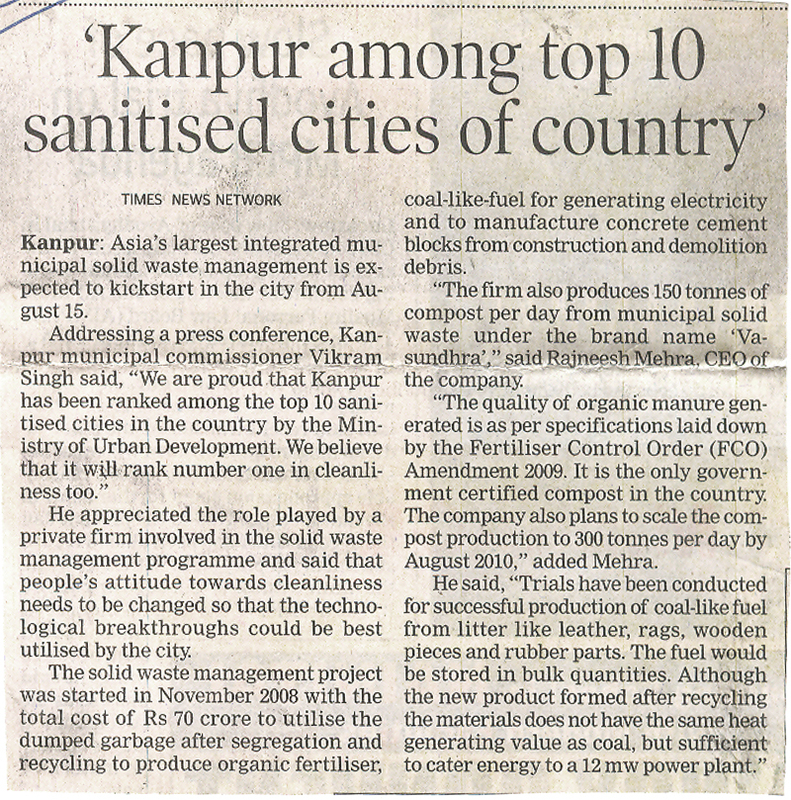 The municipal corporation has entrusted this company for cleaning the city. We also expect cooperation from you.” Assuring the young man of his full cooperation, Mr. Sinha returned to his home thinking something. Discussions started in the house. 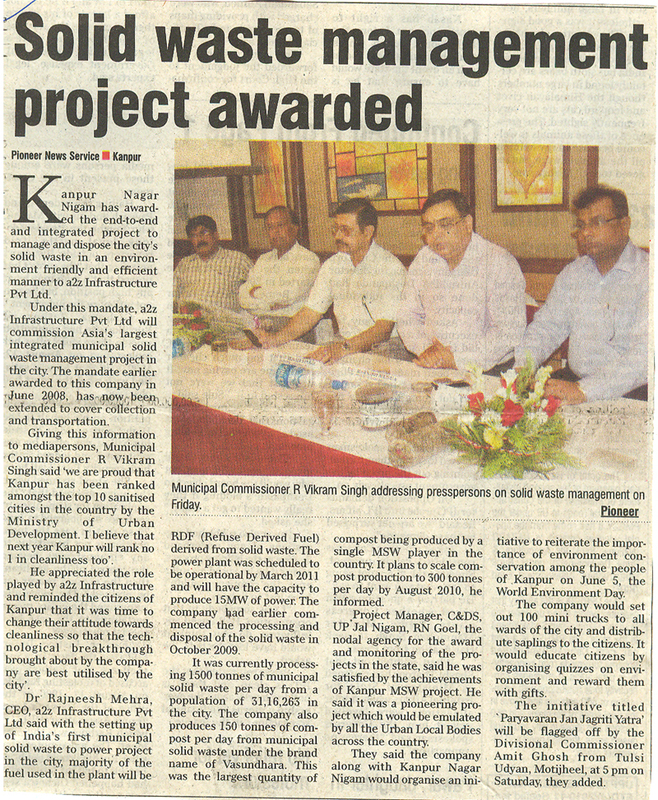 This event gave a pleasant surprise to all the residents of the ward no. 1 to 9 of the new capital circle area. 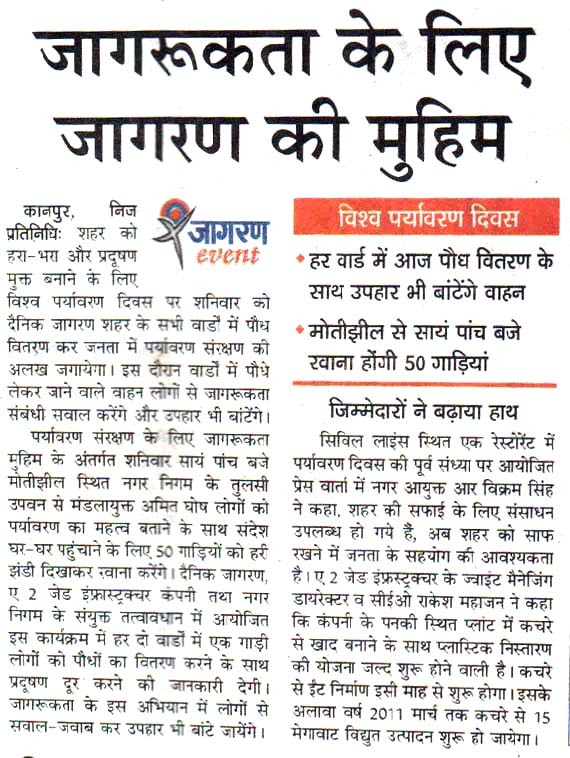 Kanpur, Private Representative: To make the city lush green and pollution free, Dainik Jagaran will launch a public awareness programme on Saturday the World Environment Day by creating awareness on environment protection and distributing sapling in all the wards of the city During this campaign, the vehicles carrying plants will raise queries about awareness to people and will also distribute gifts. 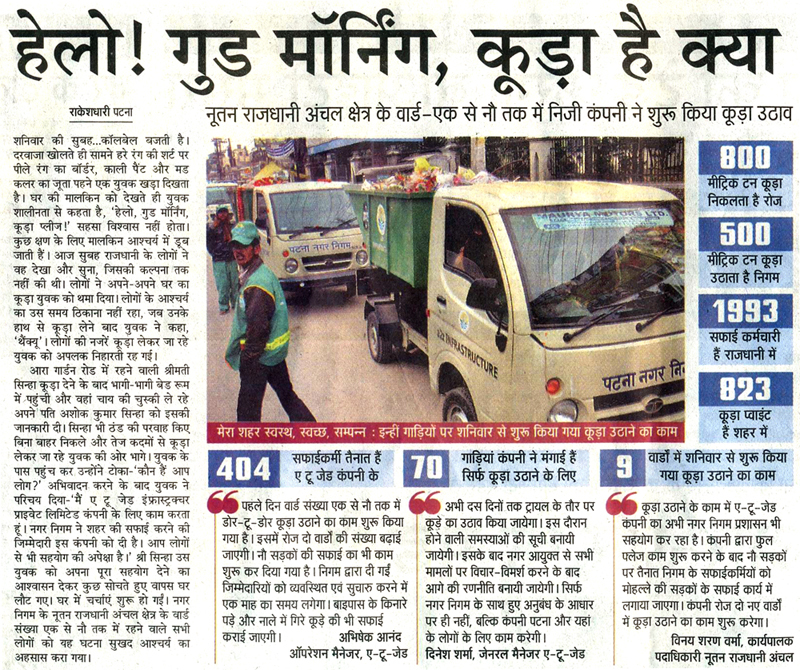 As part of campaign for awareness among people towards environment protection the Division Commissioner, Shri Amit Ghosh will explain the importance of environment protection and to convey this message to each household he will flag off 50 vehicles from Motijheel based Tulsi Upvan of Municipal Corporation on Saturday at 5 PM. During this programme under the joint aegis of Dainik Jagaran, A2Z Infrastructure Company and Municipal Corporation, for every two wards a vehicle will give information on removal of pollution alongwith distribution of plants to the people. In this awareness programme, gifts will also be distributed to people besides having question-answer sessions. Vehicles will distribute Plants as well as gifts in every ward today. 50 vehicles will be flagged off from Motijheel at 5 PM. 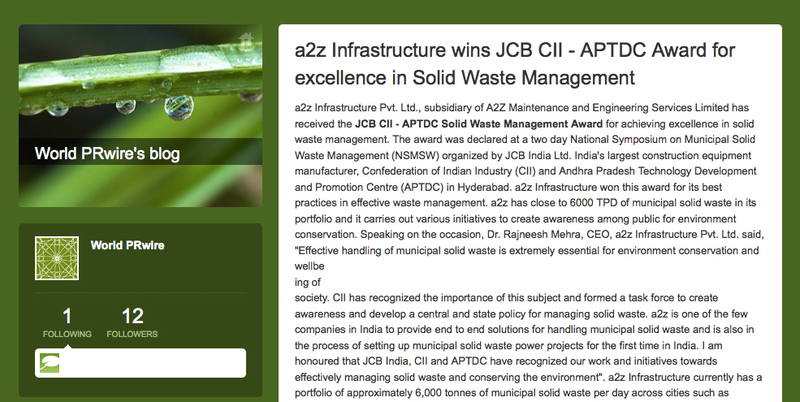 a2z Infrastructure wins JCB CII – APTDC Award for excellence in Solid Waste Management.